Let's face it. It's tough to get a job interview. Once you have one scheduled you want to be sure you're prepared. 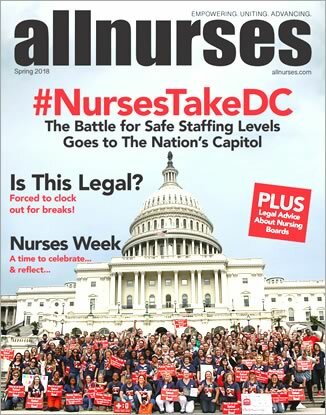 There are obviously a number of ways to accomplish this, and have been covered on allnurses.com. But you need a routine regimin that's entertaining and effortless, so that you will use it regularly. It turns out there are a few mobile apps out there that enable friends and colleagues to quiz one another for fun. If you happen to have an Apple device/iphone there's one in particular called "GETHER." Gether is Free. It allows you to post questions in a multiple choice format. You can customize your people ("Peeps") into a group ("Ring") and send them these questions ("Casts"). Why not use it to quiz each other from time to time? It's a mobile polling solution so it's anywhere you are. It also lets you try to 'predict' outcomes as part of a game mode but that's optional. The main thing is find an app like this and use it. You'll get in the habit. Then when that day comes you'll be prepared, and you'll get that job. A tool like this is also just as useful if you have that job but you just want to stay sharp, and social.